On Thursday, we welcomed a special visitor, Tim Taylor, to school who helped us with our “Mantle of the Expert” exploring through our Connected Curriculum how evacuees would have felt being sent away during the Second World War. Our ideas inspired some descriptive writing as journalists reporting the chaotic scenes from the train stations as children were evacuated. We also acted as a billeting officers to persuade host families to take in evacuees. What a great afternoon in role! On our visit to the Stockport Air Raid shelter and museum we went back in time…we arrived as confused evacuee children waiting to be billeted and sent to new host families…but the ARP showed us all the ropes and with plenty of singing and asking questions we were ready! Today we practised asking and answering questions about school subjects in Spanish…what brilliant accents and confidence we are developing! Muy bien. Autumn is here! We have really enjoyed collecting materials from the school grounds. Using nature to inspire us to make our own Andy Goldsworty inspired collages. Take a look below. We have had a wonderful time using nature to inspire us to make art in the style of Andy Goldsworthy. Year 6 we work hard but always make time to play hard too! This week’s Golden Time was great fun! We enjoyed making pom-poms and biscuits; what a treat! As part of our Connected Curriculum theme of Survival, we have been acting out the events of our unfortunate cruise: crashing our luxury liner, falling overboard and arriving on a strange uninhabited island. How will we ever survive? ON Wednesday we enjoyed the best day ever at Blackpool Zoo! We visited as part of our Science topic on Evolution and Inheritance and we even dined in the Darwin Centre named after the famous scientist Charles Darwin who we have been studying in class. Click the link to find out even more about him. We hope you enjoy our photos! Miss Thornton’s literacy group-Haunted House Sentences. Here is one of our super sentences we wrote together yesterday. Cautiously, I tip-toed into the silent, shadowy basement because I wanted to find the mysterious, golden key. We also had a go at writing our own. Inquisitively, I hurried up the old, spiral staircase but I heard a noise, froze and charged upstairs! Slowly, I crawled up the old, creaky staircase to find the Ruby Heart. Quietly, I crept up the old, narrow staircase but when I reached the top a strange force pushed me down. Cautiously, I ran up the creaky staircase but an old bony hand reached out and pushed me down. Slowly, I crept up the old narrow stairs but when I reached the top, a pair of hands pushed me back. Quickly, I crept up the old, narrow stairs but when I reached the top, a dark figure was waiting for me. Anxiously, I crept up the narrow , creepy stairs but when I reached the top a wolf leapt out and pounced on me. Silently, I crept up the spiral, narrow stairs, but straight after I had reached the top, the stairs collapsed behind me. I was trapped forever! Courageously, I crept up the old, putrid-smelling staircase, and when I reached the top, there was a huge Egyptian mirror, with an eye-ball staring straight back at me. Suspiciously, I tip-toed up the creaky, old stairs because I heard a strange noise coming from the attic. Cautiously, I stepped into the huge Master bedroom, collapsing at the sight of a ghost! Whist I was unconscious, I dreamt that I stumbled to my grave and was buried alive. Slowly, I sneaked up the giant, spiral staircase, but suddenly I plummeted down a disguised trap door. Here is a copy of an email that we have sent to our favourite author, John Boyne. We hope he writes back soon! We are a Year 6 class in Clayton, Manchester and so far we have been enjoying one of your books. It is called The Boy in the Striped Pyjamas. We are currently writing playscripts based around your story. 1. Who is YOUR favourite author and who inspires YOU to write? 2. Which is the novel you are most proud of? 3. How long did it take you to write The Boy in the Striped Pyjamas? 4. How do you come up with the ideas for your books? 5. Were any of your family involved in the Second World War? We loved some of your ideas, like when the boys discover they have the same birthday and communicate. We also liked how you talked about Gretel as a Hopeless Case and the name for Father’s study.We also enjoy how the book becomes more intense and emotional. We look forward to hearing your answers! Our trip to the park! Finally, the weather was lovely enough for our kind teachers to take us to Phillips Park as a well-earned treat for all our hard work during the SATs! It was a great morning and we so much fun, including: a lovely game of cricket, playing on the climbing frames and crazy swings as well as just generally relaxing on the grass- catching up and making daisy chains and dandelion puffs! What a fab morning- it made all our hard work worth it! Wow what a busy World Book Day!! We started the day with a special assembly so we could all enjoy the different characters that everybody dressed up as…even the teachers dressed up too! We also split into teams and had a fun book quiz while we were there. Then, we returned to class and just enjoyed reading books with our friends as well as enjoying a “special challenge”- Miss Foord always tells us that the most exciting part of a book is supposed to be P.117 so we decided to investigate different books and find out if that page really was the thrilling part of the story. In the afternoon, we took some time to read to the children in Year 3- it was really fun to share books with the younger ones- I hope we get to do that again! We have been looking at co-ordinates and using them to translate shapes, find points in all 4 quadrants and even to work out missing co-ordinates on a grid without numbers! Play these 2 games at home for extra revision. Can you work out the missing co-ordinate? Can you find the alien? What do you notice about the co-ordinates in each quadrant? We have been busy all week practising our written strategies for short and long division. We have also made decisions about when to round up or down to solve word problems as well as trying to find missing number in calculations. 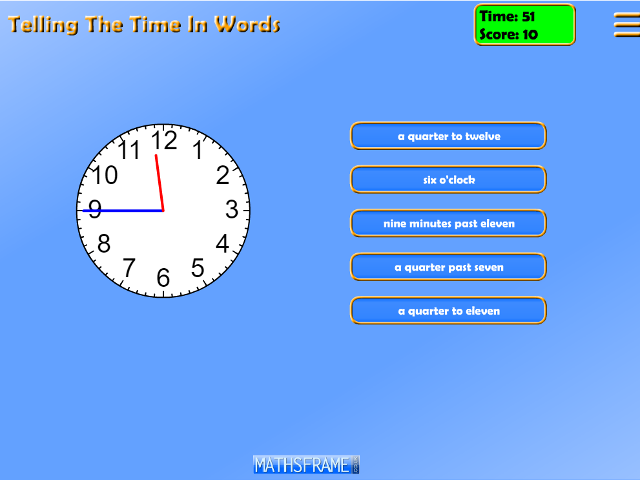 Click on the link to practise more word problems at home. Happy dividing!